I subscribe to the school of thought that no matter the time period, "ugly history" can always be found. 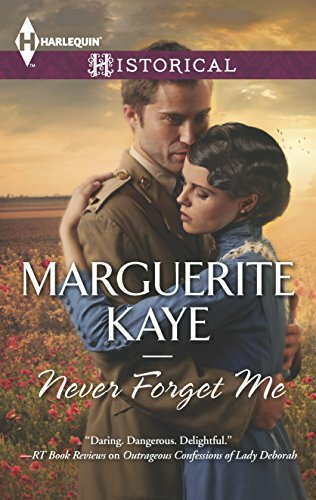 What propels me towards stories like Never Forget Me by Marguerite Kaye, set during World War I, is the idea that no matter how dark things are, human decency, love, and hope can prevail. That said, this isn't your typical historical romance novel - in more ways than one. 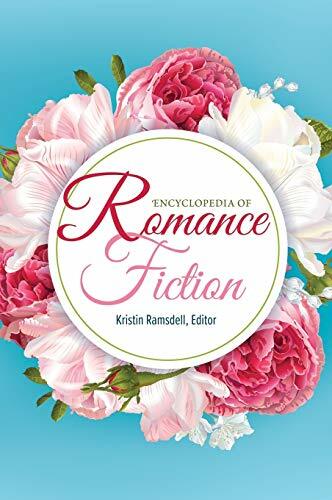 Kaye has worked within short formats before, and for this book she looks at three different years within the time frame of WWI, and gives readers three romances with three different couples. So, essentially, three short stories. The Harlequin Historical line isn't robust in word count to begin with, so the author had her work cut out for her. She wisely connects the three stories by having three of the characters come from the same town in Scotland, and have connections to a stately manor home in the area. It was a clever way to frame the book and kept the stories from feeling like separate entities. A Kiss Goodbye is set during the on-set of the war in 1914. Flora was raised in a life of privilege and now her family home is being commandeered by the army. Her mother is simply horrified, her father resigned, but Flora sees this as a moment to actually do something with her life. To prove that she's capable of more than needlepoint and looking pretty. Geraint is the son of a miner with Labour Party ambitions. Since he does have a background in accounting and figures, he's been charged with helping to set up this new army training post at Flora's home. He takes one look at her and thinks he knows exactly what she's about. And naturally our boy doesn't have the faintest idea. This was the strongest story in the book for me, mostly because Geraint and Flora have to spend quite a bit of time together to get the house ready for army occupation. It's also a bit of an opposites attract story, with Flora discovering her gumption, spreading her wings, and Geraint having to reconcile his past with his present. I also loved how the author blended the ideas of "old world" vs. "new world" into this story - juxtaposing Flora's desire for a modern life against her mother's more staid Victorian ideals. Dearest Sylvie takes place right in the middle of the war, 1916 Paris where Flora's older brother Robbie is set to return to the front after sustaining an injury. He's drinking himself into a stupor in a Paris club when he catches sight of waitress Sylvie, so beautiful and no not a prostitute thankyouverymuch. Naturally they share one incredible night together that leaves them both feeling awkward afterward. But not so awkward that they don't start to write letters to each other - which is how their romance unfolds. This was a story that started out a little lumpy for me but definitely picked up steam. In a short format like this the letter technique was quite clever and I loved that it helps the reader to gain insight into these two characters when they, realistically, cannot spent a ton of time "on page" together. 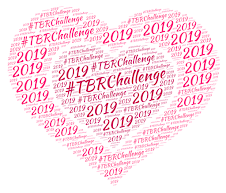 Robbie and Sylvie are both war weary realists, and there was a sweetness of them finding each other during a very dark time that I was charmed by. Forever With Me starts on Armistice Day (1918) and picks up again in early 1919. Sheila is Flora's best friend and was a servant in her home. When war breaks out she signs up to be a part of the Voluntary Aid Detachment and is stationed as a nurse in France. When peace breaks out she's celebrating with fellow nurses and soldiers when she meets Luc and they tumble into bed together. It's awkward the next morning, but they chalk it up to the excitement of peace and go their separate ways. Sheila is now back in Scotland and has discovered that even though she has oodles of nursing experience from the war, nobody wants to hire her because she doesn't have "formal training." Flora's home, the one where Sylvie was a servant, is set to become a new veteran's hospital and she's hoping the new doctor will keep her on. Imagine her surprise when her new boss is none other than Luc! Oh, the horror! This is the weakest romance of the three mostly because I think it would have benefited from a longer word count. As it is, I wanted Sheila and Luc to have more time on page together and certainly they both had baggage that could have sustained a whole novel. But oh how I loved Sheila! I have a soft spot for nurse heroines and I appreciated that Sheila, with her working class roots was now back in her hometown where everyone saw her as a "servant girl." She's fighting for respectability and it turns out she's slept with her new boss! It's not a perfect story, but did I mention that I loved Sheila? Yeah, loved her. As much as I enjoyed this connected anthology, I'm willing to admit it is not a book for everyone. While I appreciated that Kaye did not shy away from the realities of the war, the fact is - she didn't shy away from the realities of the war. This is not a Happy Sunshine Rainbow-Pooping Unicorns kind of romance. Even with three separate couples falling in love and living happily-ever-after, there's a dark cloud that hangs over this book. Bad things happen. Trench warfare was horrifying. Men die. Death, destruction affects every character in this story - as war has a tendency to do. In other words, light and fluffy this ain't. Especially when you consider that what arises from the ashes of World War I is World War II. But it does instill a sense of hope. A sense of wonder that people can find each other, find comfort in each other, even during the darkest of times. I'm going to add this to the TBR. It really sounds worth it, maybe because of, not in spite of, the history surrounding it. First, if the weakest of the three stories got a B- from you, the book as a whole is totally a win. Second, I really like the idea of stories where love is the shining light in the surrounding darkness. Love is what makes life bearable when dealing with everyday annoyances and worries in real life, but too many romances tend to obviate those and stress the fantasy instead. And I like those romances too, but occasionally, a romance that is set within the reality that life is not all rosy, helps appreciate it all the more. Phyl: Kaye has written several shorter historical works and I'm always impressed with how well she integrates the history - and it's seamless! I never feel like she info-dumps on me. AL: It gives hope to the rest of us really - because honestly how many of us are going to have the fantasy, the fairy tale in real life? Maybe this has just been my experience, but falling in love is what happens when you're totally not looking for it, or even remotely prepared for it. And trying to survive WWI? Yeah, it's not like you'd be looking to fall in love. At least if you were a sane person. Getting gobsmacked by it? I want to believe that happened for people. Because man, that was a dark period. I like to hope that people were able to grab on to small pools of light.
" I like to hope that people were able to grab on to small pools of light.